Fashion Maven... Mommy: Clarisonic Mia ON SALE! You guys! 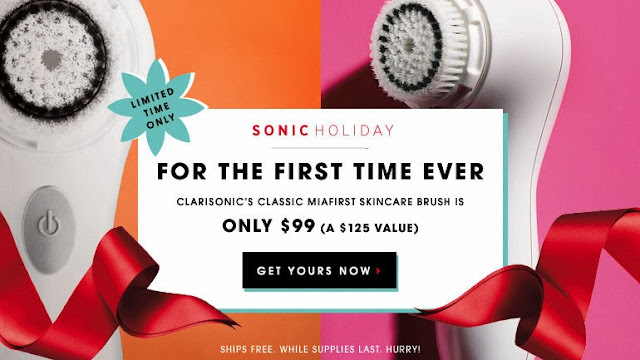 Sephora is having a major deal on the Clarisonic Mia! You know how much I LOVE mine (you can read all about it here)... so much so that I want everyone on earth to own one! This thing is a game changer when it comes to skincare! Soooo... wouldn't it be nice to finally treat yourself? At this price, you might just have to! Check it out.. it's only $99!!!! Happy Shopping!! !